A look at how a mass of medical records was found in an NYC garbage. Many don’t consider their personal medical records public domain, but some New York City locals found their personal medical information in a very public location. Since personal medical records from Mount Sinai Beth Israel Senior Health were found in a public garbage, it raised a lot of questions in regards to how the information arrived in such a public place and what could happen to the hospital. With this being said, here’s a look at how a mass of medical records was discovered in a NYC garbage. Found in Chelsea public garbage can, a clear plastic bag was discovered with dozens of un-shredded medical documents that contained personal information from the Mount Sinai Beth Israel Senior Health hospital. The information was discovered by a local who identified the white garbage bags as property of the Mount Sinai Beth Israel Senior Health hospital (since he knew that the white bags of garbage were normally reserved for their industrial garbage containers). When the local pushed on the white garbage bag to discover what the bag contained, he saw that it was filled with discarded prescriptions, lunch orders, discarded receipts, and medical files (identified from Mount Sinai Beth Israel Senior Health) that were discarded as regular trash. When the medical office manager was confronted regarding the matter, the Mount Sinai Beth Israel Senior Health medical office manager claimed that their medical documents are oftentimes disposed of in a proper manner and a internal investigation is underway. One thing that was noted by the local (who discovered the discarded medical information) was possible violation of HIPAA standards and practices. HIPAA is the Health Insurance Portability and Accountability Act that was enacted by President Bill Clinton in 1996. In addition to ensuring equal access to certain human and health services, HIPAA also protects the security and privacy of health information. The failure to comply with HIPAA standards could result in criminal and civil penalties. Given that the privacy of medical records is one of the main reasons as to why HIPPA exists in the first place, it could mean trouble for the Mount Sinai Beth Israel Senior Health hospital. 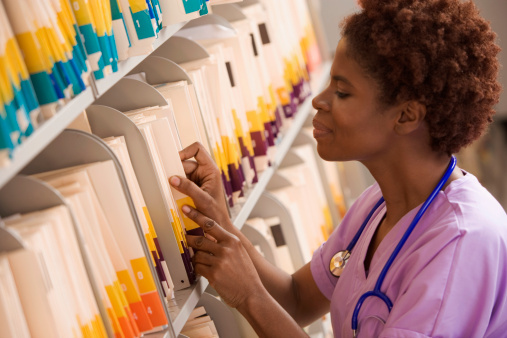 Considering the information above, proper medical health record disposal is a serious concern for anyone who values their privacy. Thankfully, Haxxess Enterprise Corporation is the trusted choice when it comes to staying ahead of the latest information technology tips, tricks, and news. Contact us at (705) 222. -TECH or send us an email at info@haxxess.com for more information.